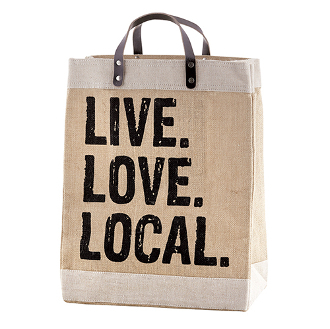 A beautiful and natural looking shipping tote with "Live Love Local" printed on front side. Jute Fiber, Polyurethane Lining. 13" W x 8" D x 18" H.
"Live Love Local" printed on front side. Pocket inside bag for extra storage. 13" W x 8" D x 18" H.